This unit does welcome long term winter rentals. Destin Fun In The Sun! My family enjoyed every minute of our beach vacation! This was our first time at Destin and we were not disappointed!!! Our condo was roomy and clean! Amenities were great! The beach was perfect! We cannot wait to return next year! Thank you Holiday Surf for a wonderful stay!!! Comfortable and clean. We would come back and stay again. We stay at Holiday Surf & Racquet Club just about every year, but this was our first stay in 209. It was wonderful! 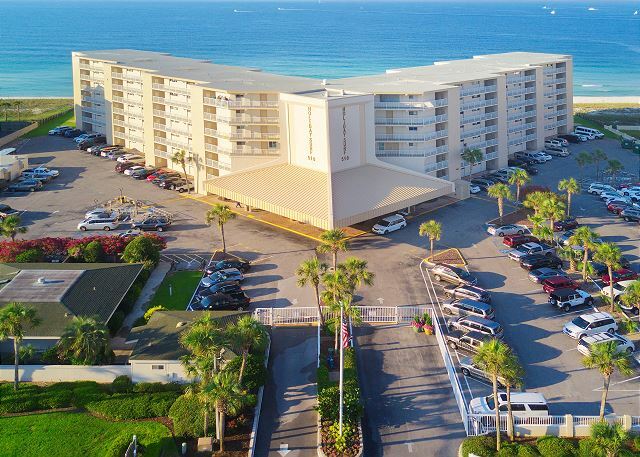 A comfortable bed and beach front location are all we need for a great vacation. The décor was nice and the beach is just gorgeous. We will definitely keep coming back! Overall stay was nice. We did have to wait almost 2 hours past check in time. Location of the room was right over the pool. Walk to the beach was easy and super quick! Close to all restaurants. Our stay in unit 209 was awesome! It was very clean and very nicely decorated and the beds were awesome! The view and balcony were amazing, as well as, the staff. Will most definitely vacation here again! Everything about our stay was exceptional especially Scott and the beach service. The front desk personnel we encountered were very helpful and pleasant. The unit we stayed in was disappointing as it reminded us of the units as they were 15 years ago.